In a cold little town, Annabelle finds a common box of colored yarn. Only there is nothing common about it. She starts making sweaters: for herself, then Nate and his dog and then everyone and everything and — is that a pickup truck? But will she sell her remarkable yarn to the grasping archduke? 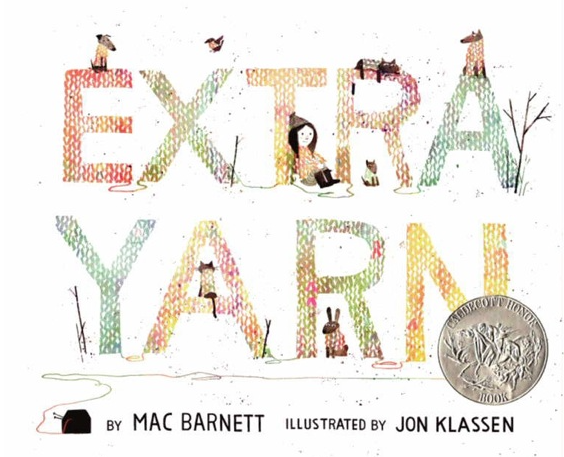 Mac's disarmingly simple tale offers the allure of mystery and expertly captures a child’s faith in magic, with Jon Klassen’s illustrations adding just the right light touch of personality to the text.